We continue to present you how-to implement QR code tips and today’s one is how to deliver custom content. 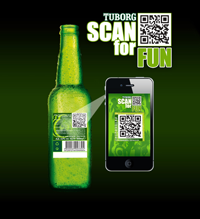 It can be made with our Forward QR codes which lead people to your page. Wherever possible you must create and deliver content that makes sense to your market and helps people who scan your code make honest buying decisions. 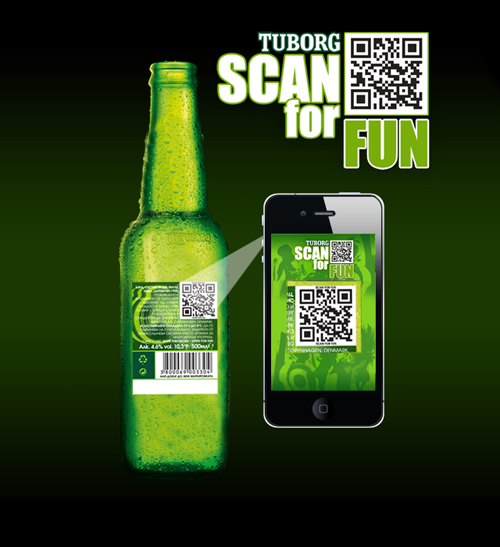 The picture shows how Tuborg implement QR codes on beer bottels to lead you to their iPhone app which gives info about events, concerts and festivals supported by them (we let you create QR codes for apps but Tuborg are probably not aware 🙂 ). For example if you use QR code in magazine, consider the interests of readers of magazine and offer exclusives and target content. You must choose a landing page where users can select the type of content they want. QR Codes that leads to videos, FAQ sections, etc aren’t much effective so you must create landing page where user can choose whether he will watch video, read testimonials, reviews or take a test drive of your service or product. Remember that it is all about content and in mobile environment there are unlimited possibilities. By selecting proper content you instantly engage customers with the brand and capture a naturally social moment.